I had purchased a small piece of property back in 2002 with hill training accessible at the end of my street! I had also discovered a 2 year old grey gelding that was on a dispersal sale that just ‘had to have’ once I saw his trot – he did not come without issues though… did not trust people, pulled back when tied plus he has the ‘high/low’ syndrome which can make saddle fitting a challenge. 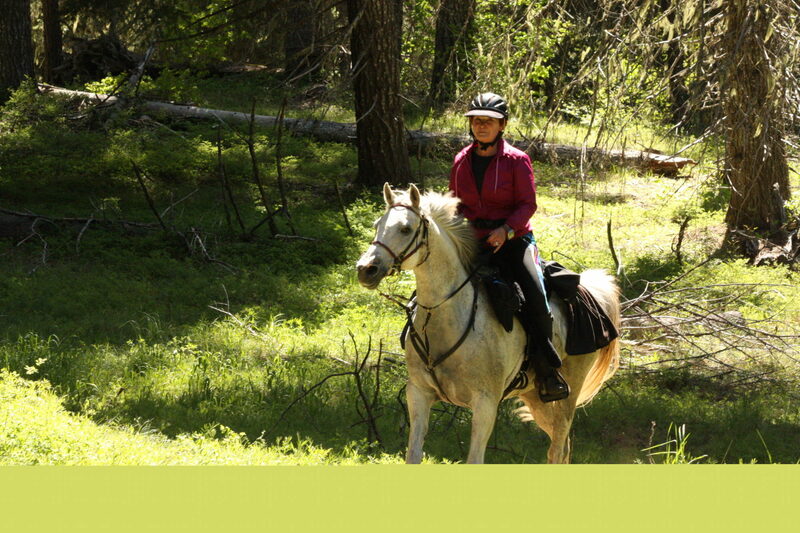 I started KSFA El Jakar out in 2004 and we were using a treed saddle that had to keep making changes as he developed more muscle – then one hot ride I noticed a heat bump and was on the hunt for the saddle that would work for both of us. A friend introduced me to Freeform in 2007. First time I rode him down into the canyon I could not believe the freedom of his shoulder movement…I ordered a Freeform Classic and that year started out our endurance season on a 75 mile ride…saddle worked great for Jakar…it took me a couple more rides to get the feel…but now my Freeform is like my bedroom slippers. We have been a team for 13 years with over 4000 endurance miles in endurance to date and over 3000 of those are in the Freeform…have gone from Freeform Classic to the new Enduro base and love that one even more. Remember that colt I told you about…well this year he received his 2000 milestone and all miles are with the Freeform – he won a couple National standings along with top 25 senior standings for our Northwest Division – Dash and Jakar have two totally different body shapes and I use the same saddle for both – needless to say my Freeform saddles get lots of wear with all these miles we are doing. Last summer I went back to Winnipeg, Canada to visit family and while there my niece asked me if I would help a gal out at their barn that had received a Freeform and wanted to know how to set it up for her hard to fit horse. It was such fun doing that fitting for her then watching her ride her horse in the arena just beaming – her coach had stated that her horse had never moved so freely. It was such a pleasure to help her out and see that her horse would no longer have saddle fitting issues – which is why when Paulita asked me if I wanted to be her rep for the West Coast I said ‘most definitely’ as would like to having the opportunity of helping out the many other riders with their saddle issues. This past year I have enjoyed meeting many new people by sharing the joy of riding Freeform saddles at various endurance rides. I have had several folks comment how happy they are that they have a Freeform rep right here in the NW Region. I look forward to meeting many more Freeform advocates.